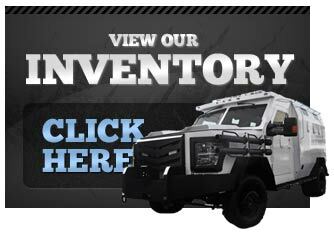 We offer a versatile array of used armored trucks for sale. 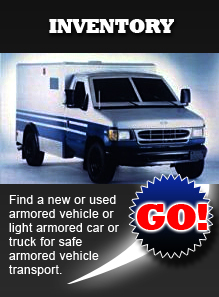 On the subject of used armored trucks for sale, nobody offers inventory and level of protection you will find at www.usedarmoredvehicle.com. We will customize your used bulletproof truck according to your exacting specifications, and create a vehicle that offers an unsurpassed level of protection. Those interested in our used armored Ford trucks can choose from the Ford F-350, Ford F-150 and Ford F-550. Look to us also for used armored Toyota trucks (including the used armored Tacoma) and our popular used armored Chevy trucks. We know that your security needs cannot be compromised on any level. Our clients are situated in hotspots around the world, and they depend on us for the highest level of security when the chips are down. All of our vehicles are created with the highest grade materials, and using the most advanced technology and engineering available. We have provided new and pre-owned armored vehicles for clients all over the world for decades. As such, The Armored Group is uniquely qualified to address your security vehicle needs. The work we do requires commitment, innovation, exquisite attention to detail and state-of-the-art technology. We are committed to setting a standard in security vehicles each time we create one, and that commitment will always hold true. We have a number of high profile clients throughout the world who could call upon any company for their armored vehicle needs. These clients consistently rely on The Armored Group, and with good reason. Our track record is one of excellence in an industry where there is no margin for error. Call us today at (602) 840-2271 to learn more about our selection of pre-owned armored trucks.